Many roulette players often make common mistakes greatly reducing their chances of winning. As a rule, it is peculiar to beginners who do not even know that they were doing something wrong. However, experienced players often make the same mistakes, as they consider them insignificant, or because they are too emotional, which does not allow them to play rationally. In this article, we present ten tips that will be useful in roulette game and can help you avoid many mistakes. 1 Practise on virtual money. Before you start to play roulette for real money, you need some time to practise at the fan table. 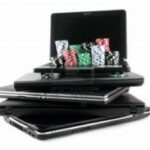 In this way you can quickly learn and understand the principles of management in online roulette without risking the real money. It is good that almost any online casino offers such an opportunity for free. 2 Make the outside bets. We recommend at first to play the outside bets, namely, red-black, the even-odd, big-small, as well as speakers and a dozen. Of course, these bets will not bring you huge gains, but the probability of winning is much higher. 3 Do not play American roulette. If possible, always play the European or French Roulette and avoid the American version. The fact is that the American roulette wheel has two green sectors instead of one, which increases the house edge and thus reduces your chances of winning. This advice is easy to follow, and it will make your game more successful without any doubts. 4 Pay attention to the limits. Before you start the game, be sure to check out the table set betting limits. It should be understood that the higher the minimum bet is, the more bankroll you need to play. It is also very important to know the spread between the minimum and maximum allowed bet. The higher it is, the easier it will be to use at the table with the progressive system of the game based on the increase in bets. 5 Take profit. Make it a rule to store the prize money, not to lose them. For example, if you started the game with $ 100 and you are able to increase your balance up to $ 150, store the won $ 50, and you will not lose them in case of a series unsuccessful bets. This is a very important piece of advice for any player. Always put off the money that you have won and always make bets only on those amounts that you are willing to lose. 6 The roulette doesn’t have memory. Many players naively believe that the results of the previous spins of the wheel somehow influence the outcome of the next draw. Do not entertain yourself with these illusions. The roulette wheel has no memory and the wheel of fortune does not care what numbers fell out earlier. Each time you spin the wheel, the probabilities of all possible outcomes are stored and do not depend on the results of the previous spins. 7 Use the strategy and system of playing roulette. 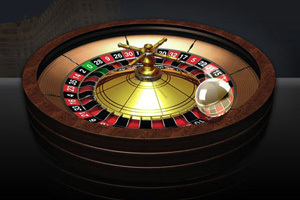 Different schemes of the roulette game are the result of careful calculations, and their usage can greatly increase the player’s chances of a favorable outcome of the session. 8 Control your emotions. While you are in the captivity of excitement, you often make reckless bets and very quickly lose your entire bankroll. So as to avoid this, you must learn to take care of your emotional state during a gaming session. And if, after a series of unsuccessful bets you suddenly feel that you start to lose control over your actions, try as soon as possible to leave the gaming table. If you continue the game in this state, you may lose the entire budget. 9 Do not put more than you are willing to lose. This is one of the most important tips for any player: not to bet more than you can afford to lose. And if you lose your bankroll that you decided to spend on gambling, in any case, do not chase for the loss starting to play for money that you cannot afford to lose. 10 Enjoy the game. And finally I would like to remind you that the main thing in any game of chance is not to win, but to get positive emotions and adrenaline. Play so as to obtain the maximum enjoyment from the process and have fun, because roulette is one of the most exciting gambling entertainment in the casino.